provide a simple and exciting approach to technology. demonstrate how nature efficiently implements complex operations. 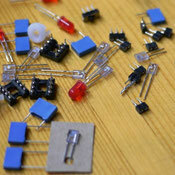 encourage playful experimentation with electronic circuits. are high-quality, long-lasting products made in Germany. are reliably tested and assembled by people with disabilities.